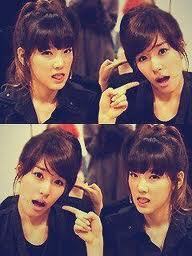 Taeny ♥. A cute couple :). Wallpaper and background images in the Girls Generation/SNSD club tagged: snsd taeyeon tiffany. This Girls Generation/SNSD photo contains anime, comic book, manga, and cartoon. There might also be portrait, headshot, and closeup.